Many teachers like the convenience of letting younger students use two companion books, instead of four. For this reason they choose MUSIC for KEYBOARD and CREATIVE KEYBOARD for Level 1 (see below). MUSIC for KEYBOARD introduces students to basic musical concepts through its sequence of short pieces and related technique. CREATIVE KEYBOARD then provides related theory, sight-reading and creative activities that vary and expand upon the concepts from Music for Keyboard. 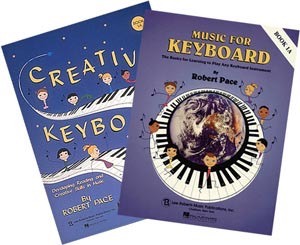 Similarly to the four-book series, the two MUSIC for KEYBOARD / CREATIVE KEYBOARD books are sequentially organized from the very beginning so that students understand music and know what they are doing from the outset. MUSIC for KEYBOARD 1A and CREATIVE KEYBOARD 1A cover the first half of Level 1. MUSIC for KEYBOARD 1B and CREATIVE KEYBOARD 1B then complete the second half of the level. Students enjoy graduating in the middle of the year from books 1A to their new books 1B. 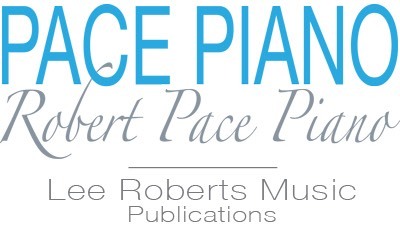 Selections from the Pace Recital Series should also be used along with these books to help broaden students’ knowledge of musical literature.